The best of worlds for me is when I go to a new place I know little about and thus have the possibility to learn lots of new things. Curiosity is my name. LOL Well, you might say that this is what wine is all about; learning, exchanging thoughts and opinions. Nothing is set in stone, it is all a learning curve. This was Friuli to me on my trip there a few days ago. I was eager to discover new things and taste many, for me, new wines. It turned into all of this, and so much more. I had the pleasure of being invited to three days (two tasting days) organized by the fairly new DOC Friuli together with H-Farm. 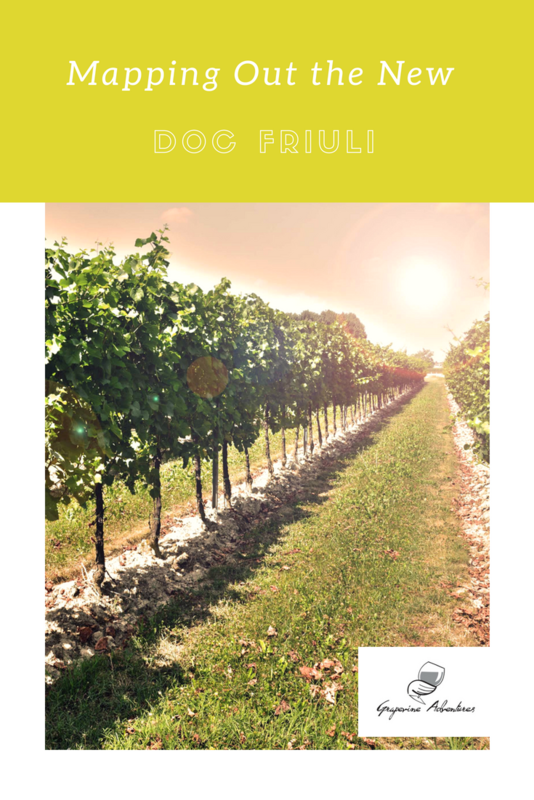 DOC Friuli is an umbrella denomination embracing different DOCs in Friuli. The aim is to with this new DOC (in vigor since 2012 but functional from the harvest 2016) be able to create a strong brand that can better make its voice heard on the international market. 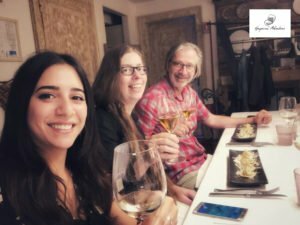 During our days in Codroipo in Friuli, we were a group of wine writers, sommeliers, wine experts (well not me, I am no expert, but most of the others can be called experts), and two importers from Denmark and Norway gathered for various blind tastings. We had one morning and one-afternoon session each day to taste through white wines that had been pre-selected for us. The goal of these tastings was for the consortium DOC Friuli to get a first more objective idea about the wines and how they can work in a national and international setting. The task was also to select a smaller number of wines to be presented at an event at Villa Manin in Codroipo on June 15th. Would you be in Friuli next week, then go and taste some DOC Friuli wines! So, we felt pretty important – joking – it was an interesting, instructive, and constructive experience where we had lots of fun. I think that is what tastings like these are all about, to not take yourself too seriously but still being professional in your tasting. Friuli Venezia Giulia is the region in the north-eastern corner of Italy. It is that region that borders with Slovenia in the east and Austria in the north. For the rest, its borders are with Veneto and the Adriatic sea. It is a region with a lot of history, that I am not going to go further into here, and an autonomous region with a special statute. As you can see above there are several DOCs entering into and being part of this new umbrella denomination DOC Friuli. DOC Collio is not a part yet though. Wine is an important part of the Friuli tradition. 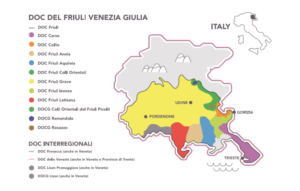 Just think about the fact that Friuli Venezia Giulia got their place on the map in the wine world for their new winemaking techniques in producing white wines in the 1960s. More recently, certain parts of the region have become well-known for their orange wines. There are around 20,000 hectares (almost 50 000 acres) of vineyard planted in Friuli Venezia Giulia and more than half of these areas are focused on white grape varieties. When we look at the wineries, there are, of course, some large wineries but most of the 1500 wineries (according to the website Friulano & Friends) in Friuli are indeed smaller ones with less than 10 hectares of vineyard. We learned that DOC Carso that is the most eastern DOC in Friuli and borders with Slovenia is a rocky area and has a soil that is very rich in iron. This gives acidity and body to the wines. This is the area where a lot of the trendy orange wines are produced. If we move further to DOC Collio (they are not part of DOC Friuli) it is a hilly area where the differences in temperatures between night and day are considerable. The soil is here the well-known ponka, or flysch, that is the sedimentary rock where layers of marl are alternated with clay and sand. The Collio area is very suitable for wine production. The flysch soil continues into the area of DOC Colli Orientali. Even though the soil is considered quite poor, these are areas suitable for wine production. The DOC Isonzo stretches along the river Isonzo and to the hills in the Gorizia area. 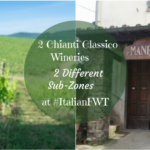 It is an area divided into the Rive Alte and Rive di Giare areas where it is possible to produce both red wines with a certain freshness and structured white wines. The large yellow area on the map is DOC Grave where there are a lot of flatlands that were created due to floodings of the rivers Meduna, Cellina, and Tagliamento. It is a calcareous soil and it also consists, to a great extent, of gravel. 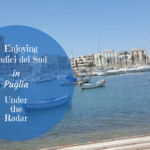 Continuing from there to the denominations towards the seaside such as DOC Aquileia, DOC Annia, and DOC Latisana the terrain is more at sea level. In DOC Aquileia, the terrain turns more compact and there is a lot of swampland with clay and sandy soil. In the DOC Latisana area, the soil is rather sandy and with a lot of gravel. It was in the Latisana area that the wines that were enjoyed by the Romans and, further on, by the Serenissima Republic of Venice were produced. The wines we tasted during the two days were divided into flights according to white grape varieties in Friuli. These varieties were Friulano, Malvasia, Sauvignon, Pinot Grigio, Ribolla Gialla, Aromatic Traminer, Verduzzo, and Ramandolo (not a grape, the grape is still Verduzzo). We tasted 104 wines in two days and most of them were of the vintages 2017 or 2016 even though there were a few 2015 or older wines too. It was a blind tasting so we knew nothing about which producers or areas the wines came from in Friuli. I am not much for entering into detailed tasting notes or singling out by mentioning some producers instead of others. Below, I will make some general remarks in a more thematic way. During the first day, we tasted 28 various Friulano wines, 5 Malvasia wines, and 17 Sauvignon wines. During the second day, we tasted 30 Pinot Grigio, 9 Ribolla Gialla, 8 Traminer Aromatico, 4 Verduzzo, and 2 Ramandolo wines. I especially liked the session with Friulano wines because I think there were some very good examples where the characters of this native grape variety came out. It is also a grape and a wine that can give an expression of Friuli. What can be difficult in an international context, is that Italy, in general, is confusing for an international consumer as there are so many wine areas, denominations, and grapes to keep track of. Imagine then to be able to know Friuli and that Friulano is the former Tocai and a very typical native grape there. It can be a good challenge though to better educate about the indigenous grapes and Friuli and thus also strengthening the DOC Friuli brand. Many international consumers often are very curious though and that is a very positive thing. 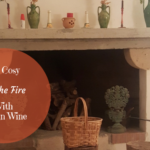 In my opinion, to tell the story about the native grapes in a passionate and compelling manner can be a fantastic way to educate and better put Friuli grapes on the international wine map. The question of territoriality or origin is not as clear-cut when it comes to Sauvignon and Pinot Grigio as they are not indigenous but rather international grape varieties. I believe there were some very nice expressions of the Sauvignon also in our tasting session. However, even though Sauvignon and Pinot Grigio have been produced for many years in Friuli and many producers focus on it, I much rather prefer to sip on a Friulano, Malvasia, Verduzzo, or Picolit from Friuli. Well, all right, I must admit I have a weakness for the Pinot Grigio ramato (macerated, pink/copper hue) when it is done well. And, I also fancy a nice Sauvignon as long as it does not have too much of the boxwood aroma. So, my theory might not work that well…but, still, these are the days of esoteric wines. 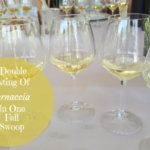 While tasting through the Ribolla Gialla wines I was trying to think back to what I knew about its history, what I learned that I did not know is that this grape used to be mixed with Friulano in order to strengthen it. When we tasted the Verduzzo Friulano some thought that one of the wines seemed almost faulty because they did not recognize the color or the aromas in that specific wine. It had a more yellow hue and a bit different aromas than the apricot and figs we often are used to. Rather you felt more chestnut honey (this is what they said, I am not sure I would have been able to guess that on my own though as I am not familiar with chestnut honey LOL) and a bit strong or tannic undertone in addition to the fruity side. For me, not having that much a clue yet about the true essence of all the Friuli native grapes this tasting session turned out to be very educational. 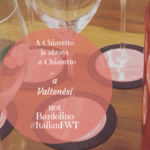 I believe it was so also for some of the others who were more used to Verduzzo wines with a darker color and more stronger and ripe fruity aromas. 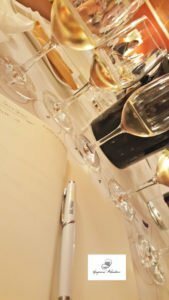 Now, of course, I could have read up on this beforehand but in general, you learn more hands-on while tasting a wine and understanding the differences in nuances of color, aromas, and taste. 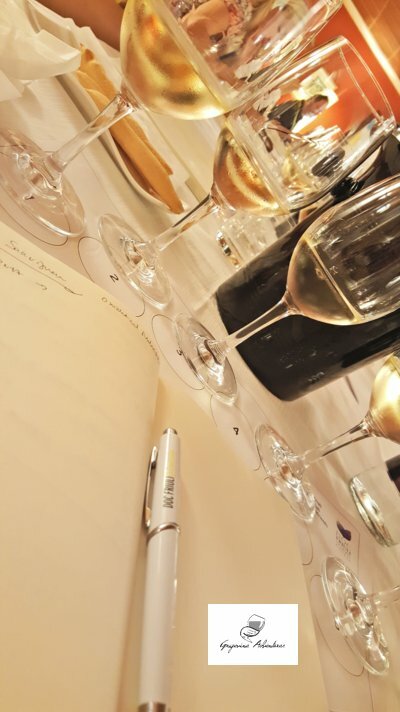 The three days in Friuli, consisted, as you have noticed by now, of several blind tasting sessions. Beyond that, we did so much more and had lots of fun. During lunches and dinners, we could taste sparkling and red wines from Friuli as well as some local craft beers. In the afternoons, we were taken on small excursions to Valvasone and Udine where we got our own guide that told us about the history and culture. It was also an opportunity to get to know the fellow wine tasters better and to talk about more than only wine. This was a great experience and Friuli is definitely a region I need to discover more of in a near future. Having fun together with Francesca Varvaglione and Geir Haug.